The Italian coast of Amalfi, with its towering cliffs and slinky corniche road, has long been associated with luxury and glamour. This is due to a heady combination of breath-taking views, sapphire-blue seas, and villages and villas perched in apparently impossible-to-reach places. 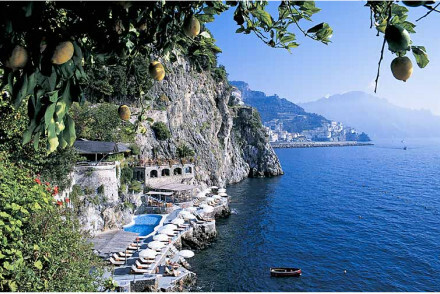 It all whiffs of excitement and exclusivity and the best luxury hotels on the Amalfi Coast cater to those looking for sheer perfection in all these areas. No wonder the likes of Garbo, Jackie Kennedy and Aristotle Onassis favoured it as a holiday playground. And no wonder hotels developed to meet their needs, with sprawling suites, sea-view terraces and access to private beaches. 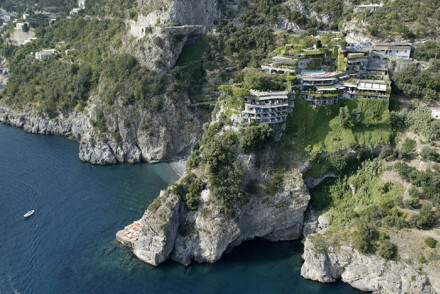 Today, you can still find these hotels - updated with spas and infinity pools - plus a range of architecturally interesting buildings, such as convents and palazzi that have been converted into luxury havens. Some are grand and old-school, others are modern and minimalist. And you can more or less pick your spot from tumble-down Positano with its chi-chi shops and secretive little Conca dei Marini to the cliffs above lovely Amalfi town and the higher reaches of Ravello, a village as ravishing as it sounds. Use our guide to the best luxury hotels on the Amalfi coast to find the one that perfectly ticks all your boxes. 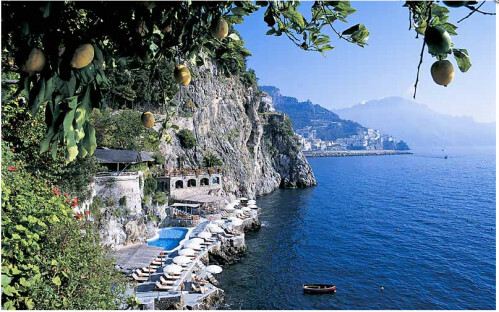 Placing yourself in Amalfi town, with its lovely Duomo and bustling piazza, puts you at the heart of the Amalfi coast. 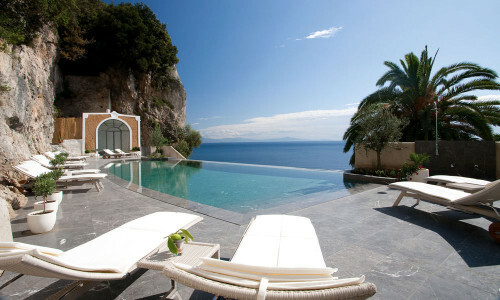 Just above the town, the Convento di Amalfi offers uninterrupted views as well as an infinity pool and spa. The former convent has been converted into minimalist, white-on-white rooms with vaulted ceilings and often with private terraces. 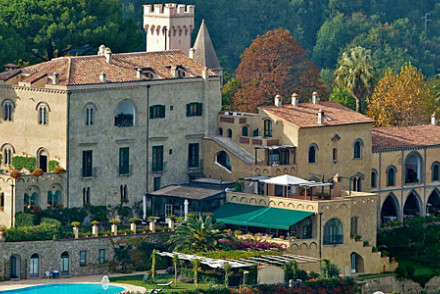 Even more of a hideaway, and set just outside the town, is Hotel Santa Caterina, a grand, 19th-century villa with a private beach, lush gardens and a gourmet restaurant. Rooms are boldly styled, mixing the cool and contemporary with antiques, ceramic-tiled floors and rich drapes. 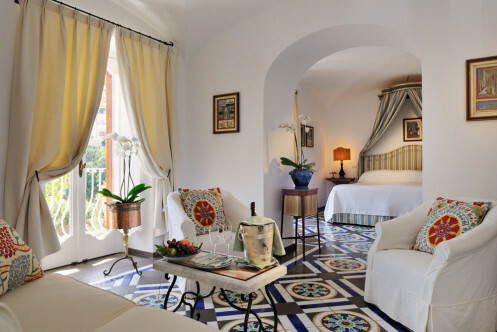 Le Sirenuse, in the sugar-almond-coloured Positano, is as seductive as it sounds. The rooms of the 18th-century palazzo shimmer with Vietri tiled floors, glowing-white walls and beautiful Italian antiques. Lemon trees line the pool terrace and the Michelin-starred dining-room, flickering with candles, has to be the prettiest on the coast. 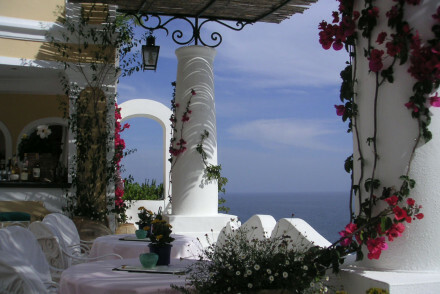 Across the bay, and gazing back towards Positano from its cliff-side location, Il San Pietro di Positano offers old-style, grand luxury and faultless service. Not only does it have all the luxurious accoutrements of spa, private yacht, tennis courts, gourmet restaurant, infinity pool and private terraces but also a private lift down to its private beach. 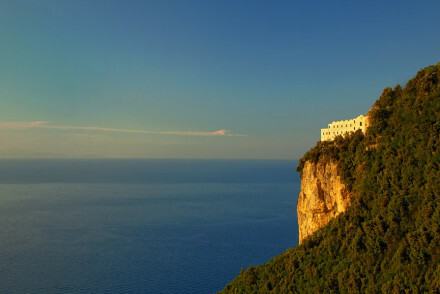 In another clifftop position, above the tiny fishing village of Conca dei Marini, Monastero Santa Rosa Hotel & Spa is the stuff of dreams. The former convent has been converted into just 20 bedrooms, classically understated and each with stunning views. With a top-notch spa, terraced gardens and infinity pool, this is a place for romance, relaxation and serious pampering. 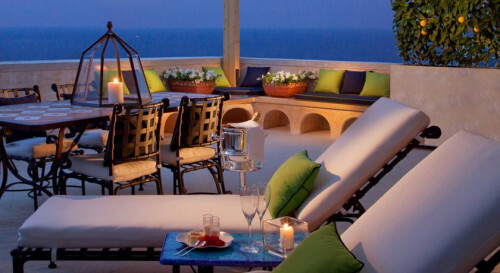 High above the coast, the ravishing village of Ravello offers several luxury choices. 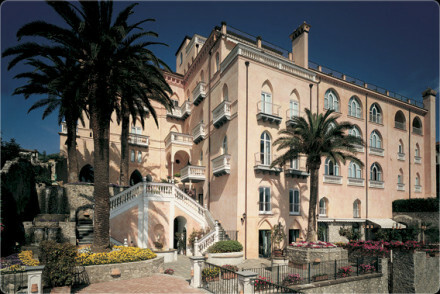 From its blush-pink and white façade to its Michelin-starred dining room Palazzo Avino oozes glamour. 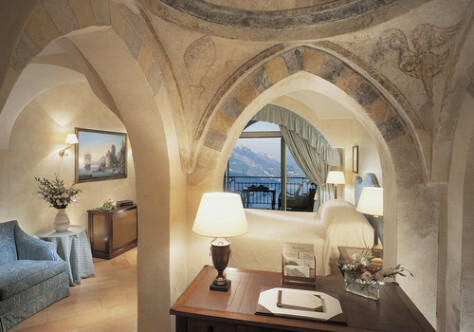 Rooms are rich with Vietri tiling, tapestries, antiques and Bulgari unguents. Most have private balconies plus there’s a spa and palm-tree-studded gardens. If you really want lush gardens, then it has to be Villa Cimbrone, set on a little hilltop of its own just outside Ravello. Romantic and sophisticated, the rooms of this former private villa are grand with vaulted ceilings, frescoes, tiled floors and antiques. There’s also a pool and, of course, heavenly views. 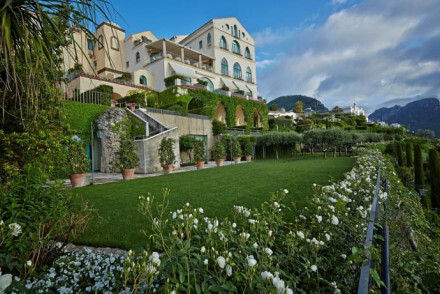 For a holiday that combines five-star service and comforts with five-star scenery and views, a stay at one of the best luxury hotels on the Amalfi coast is up there with the best. 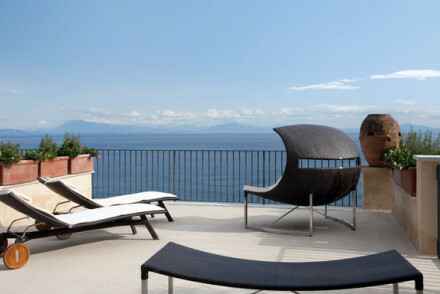 For a wider choice check out all our favourite places to stay on the Amalfi Coast.